The Corporate Garage Door Company, also known as CDC Garage Doors are professional suppliers and installers of garage doors for homes across Bournemouth and the surrounding areas including Southampton, Christchurch, Poole and further afield. With over 25 years' experience, our friendly team of garage door experts have extensive knowledge of garage doors, working with a wide range of manufactures and garage door materials and types including steel, timber and a range of plastic garage doors. 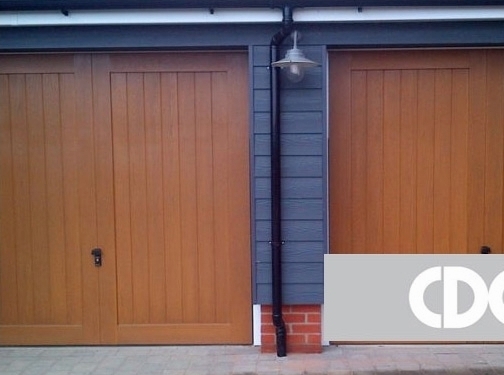 Whether you are looking for brand new Up and over garage doors or are perhaps interested in replacing your current doors with Sectional, Roller or Wooden garage doors, do not hesitate to get in touch with the friendly team at CDC Garage Doors. We also offer handy measuring guides for advice on how to properly measure up your garage before installing a new type of garage door. Visit the CDC Garage Doors website today to find out more. UK (Wimborne, Dorset) based business - with over 25 years' experience - providing garage doors, accessories and repair services. Website includes details of services provided, work examples, news section, full contact details including company registration and VAT numbers. Company website has been online since 2013 according to web.archive.org.